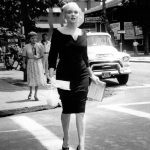 In this article I am going to reveal the truth about Marilyn’s dress size. 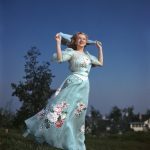 There are many myths that surround Marilyn Monroe – mostly about her death – but one such myth I’d like to dispel is the controversy surrounding her true dress size. 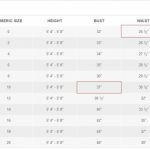 People have argued about this over the years – most adamant that she was a size 16, plus-sized or, in some cases even obese and many articles have been written on the subject, some good, some bad – I’ve included a link to a very good one here. 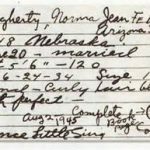 On August 2nd, 1945 – Blue Book Modelling Agency lists her as being 5’6″, 120lbs, measuring 34-24-36 and being a size 12. 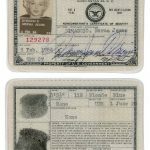 On the LA County Coroner’s report following her death, Marilyn is listed as 5’5.5″ tall and 117lbs. 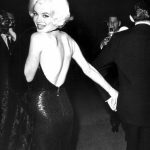 Photographs from each period show how tiny Marilyn’s waist really was. 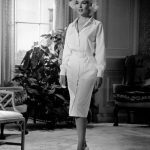 Marilyn’s waist was said to be so small that when the white dress from the skirt blowing scene in The Seven Year Itch came up for auction, it was too small to fit an adult mannequin – they had to put it on a child-sized one in order to close the zip at the back. 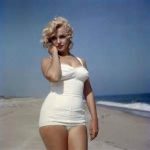 Of course, there were times in her life when Marilyn was heavier than normal but, for the most part her weight stayed between 117lbs and 120lbs. 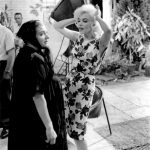 The only times that changed were each time she was pregnant, and during the filming of Let’s Make Love (1959) and The Misfits (1960), when she was at her heaviest of about 140lbs. 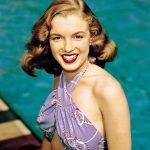 It’s also worth noting that Marilyn suffered with endometriosis, a painful gynaecological condition in which the layer of tissue that normally covers the inside of the uterus grows outside of it. As a result she suffered with bloating when the condition exacerbated. 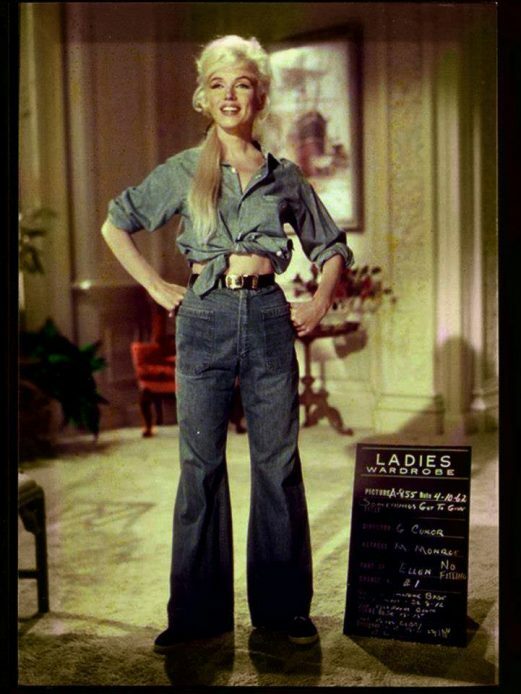 Marilyn during costume test for Let’s Make Love, 1959 – again you can see the fuller frame here. 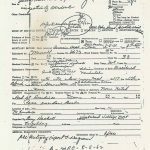 On June 28, 1961 Marilyn entered the Polyclinic Hospital in New York to have her gallbladder removed. 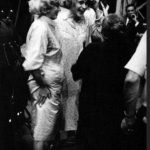 After this surgery a “new” Marilyn appeared. 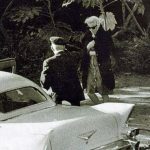 This was the slimmest she had ever been and photos taken right up to her death in 1962 show a very petite but strikingly beautiful woman. 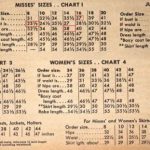 Sizing changed dramatically in the 1970’s when vintage sizing, which is well illustrated here, was phased out in favour of vanity sizing (i.e. size zero). The sizing charts below are perfect examples of this. 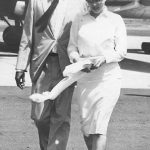 In her lifetime Marilyn had an extraordinary figure and had clothes tailored in a lot of cases to fit her unusual measurements. 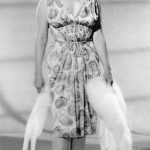 However, were she alive today, there is no doubt that she would be wearing a size 2 (US) which is approximately a size 6 (UK).